Long-time Formula 1 driver Andrea de Cesaris has died in a motorcycle accident in Italy at the age of 55. Italian press reports said de Cesaris was killed instantly in the crash in Rome. 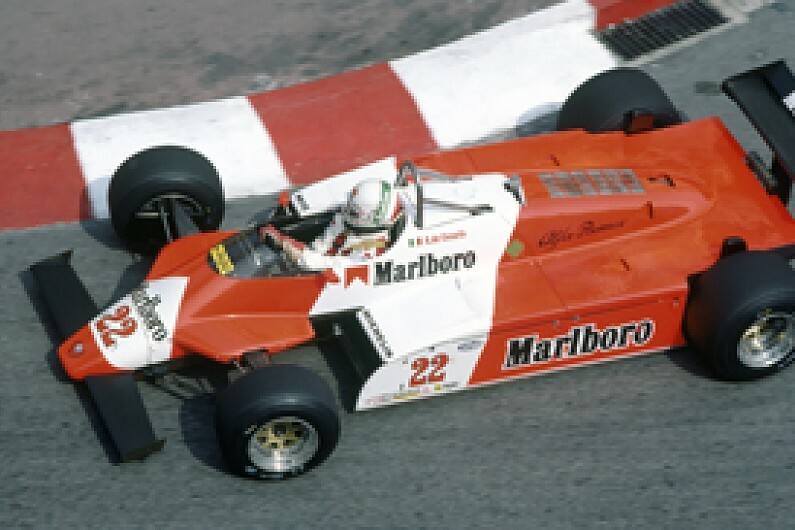 De Cesaris was an F1 regular from 1980 to 1994, getting his first full season with McLaren in '81 after two guest appearances for Alfa Romeo alongside his European Formula 2 season a year earlier. Although he did not win any grands prix, and never shook off a reputation for crashing earned in a tough rookie campaign, de Cesaris ultimately entered 214 F1 races and often got his invariably midfield machinery higher than it deserved. He returned to Alfa for the 1982 and '83 seasons, which included his sole F1 pole at the '82 Long Beach race and a long spell in the lead of the '83 Belgian Grand Prix - which was the revised Spa's F1 debut. Stints with Ligier, Minardi, Brabham, Rial and Scuderia Italia followed, before de Cesaris played a major role in Jordan's impressive F1 debut season in 1991, when he again had a shot at a Spa victory. After two seasons with Tyrrell, de Cesaris's F1 career appeared to be over at the end of 1993. But he would be back again for much of 1994, first standing in for the banned Eddie Irvine at Jordan, and then taking the Sauber drive after Karl Wendlinger's horrific Monaco crash. He finally retired at the end of 1994 with five podium finishes to his name and having been classified in the world championship top 10 three times - eighth with Alfa in 1982 and then ninth with Jordan in '91 and again for Tyrrell the following year.